Samsung Galaxy J7 comes with the real 4G experience and is provided with an ultra data-saving feature. With its Super-AMOLED display, you get an immersive video-watching experience. Launched in June 2018, Samsung Galaxy J7 features a 5.5-inch touch-sensitive Super AMOLED display. The screen resolution you get is 720x1280, which is perfect to watch you watch your favorite videos. Powered by 1.5GHz Octa-core processor, Samsung Galaxy J7 features 1.4GB of RAM. Provided with 16GB internal storage, the Samsung Galaxy J7 features expandable storage up to 128GB using a microSD card. Samsung Galaxy J7 is powered with a 3000 mAh battery that is good enough to keep the smartphone functional for an entire day, once fully charged. This device runs Android operating system. This budget smartphone by Samsung is pretty good for budget users and literally leaves no gaps when it comes to features. Howewver, the 16GB of internal storage may not be enough, keeping in view a myriad of other options now available in the market. If you are looking for an upgrade, you can sell old Samsung Galaxy J7 on Cashify for the best resale value. Why Sell Your Old Samsung Galaxy J7 On Cashify? Cashify turns out to be the best online platform when you need to sell old mobile. The company offers the best resale value of your old Samsung Galaxy J7 in no more than 60 seconds. 3. 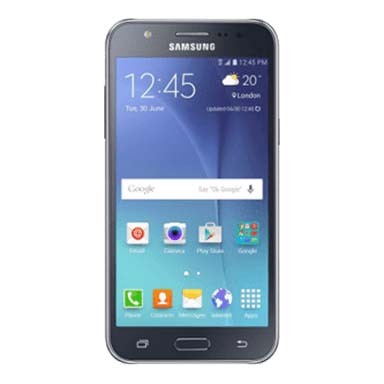 Click on Samsung Galaxy J7 and you’ll see an estimated price to sell old smartphone right away. Further, you need to provide some basic information about your used Galaxy J7 and you will see the exact resale value of your smartphone right there. At Cashify, we arrange a free pick-up and provide you with the payment at the address of your choosing.